I had the pleasure of speaking with Brian Mathews, the Associate Dean for Learning & Outreach at Virginia Tech’s University Libraries. Mathews is one of the most creative administrators in higher education today. He is the author of the popular Ubiquitous Librarian blog, part of The Chronicle of Higher Education’s Blog Network, and the 2009 book “Marketing Today’s Academic Library: A Bold New Approach to Communicating with Students”. 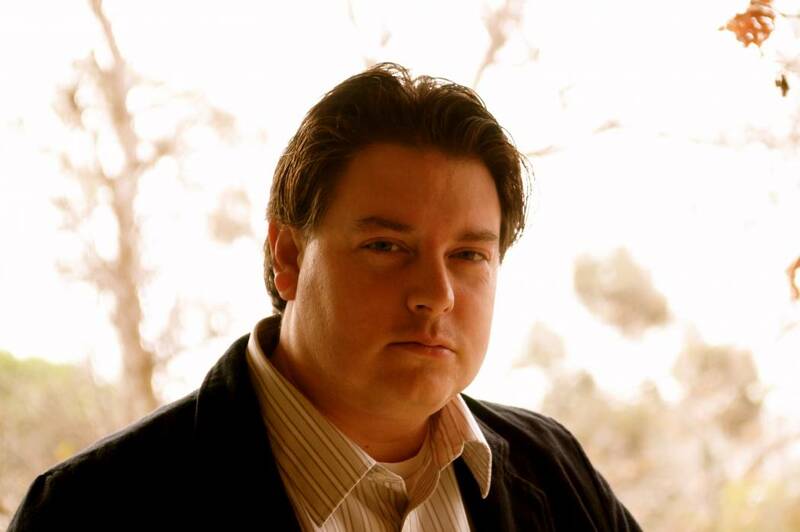 Recently, Brian gained international attention for his work “Think Like A Startup: a white paper to inspire library entrepreneurialism” intended to inspire transformative thinking in higher education using insight into startup culture and innovation methodologies. Our conversation focused on the need for academic libraries and higher education leaders to “think like a startup”, Brian’s efforts to create and sustain an innovative culture at Virginia Tech, several user-experience research projects, potential roles for librarians in massive open online courses, and the future of scholarly publishing. “Our jobs are shifting from doing what we’ve always done very well, to always being on the lookout for new opportunities to advance teaching, learning, service, and research” (p. 2). 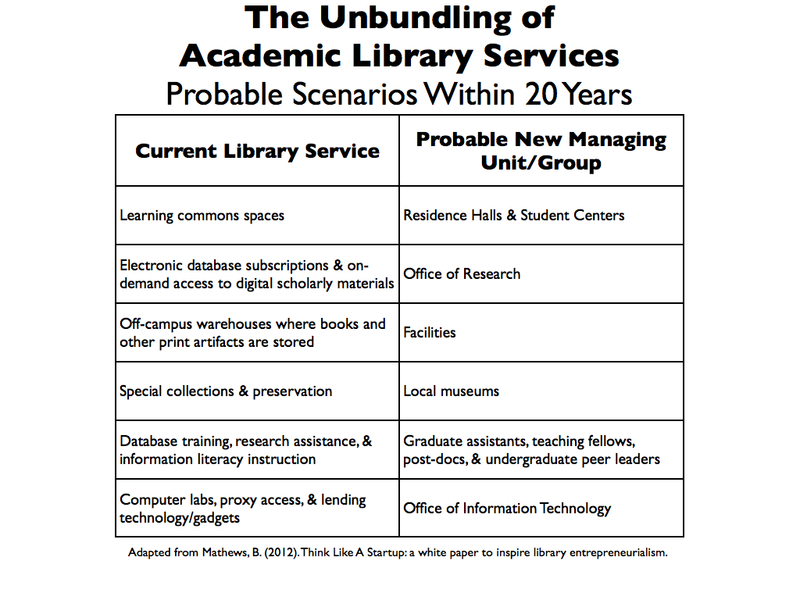 Mathews’ white paper “Think Like a Startup” makes a compelling case that within 20 years many of the modern academic libraries’ services will be housed and run by other units across campus. Therefore, Mathews argues academic libraries need to forge new partnerships across campus, discover new ways to create value for their users, and experiment with radical new approaches to solving their most pressing needs. Mathews, B. (2012). Think Like A Startup: a white paper to inspire library entrepreneurialism. It’s been nearly 20 years since the Singularity was introduced at the NASA VISION-21 Symposium. What’s changed? "Children are like slaves of the modern age"